HomeMOVIE & TV10 Popular TV Shows With Mistakes They Can't Hide From! Best SCI-FI TV Shows That You Must Watch ! 10 Popular TV Shows With Mistakes They Can’t Hide From! 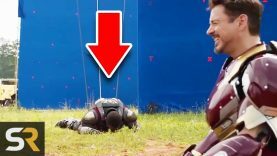 10 Marvel And Superhero Bloopers That Make The Movies Even More Fun! TV has come a long way since its conception. Original programming is now competing with big blockbuster films in terms of budgets and fandoms. Despite the amazing cast and crews behind some of these hit television shows, the occasional mistake can slip by without anyone noticing until it’s too late. Give us a like if you never noticed these 10 mistakes in big TV shows!